In this ABAP tutorial for developers we will see how to find BAdI implementations and display BAdI implementation class ABAP source codes for any ABAP program or SAP transaction code. First, for ABAP developers tutorial shows how to find BAdI (Business Add-In) for an SAP program or a SAP transaction code. 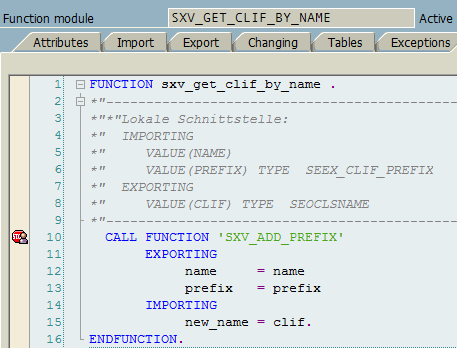 Then programmers can use the ABAP function module SXV_GET_CLIF_BY_NAME from Business Add-In Administration Module function group to find the BAdI names used in the target ABAP program or SAP transaction. 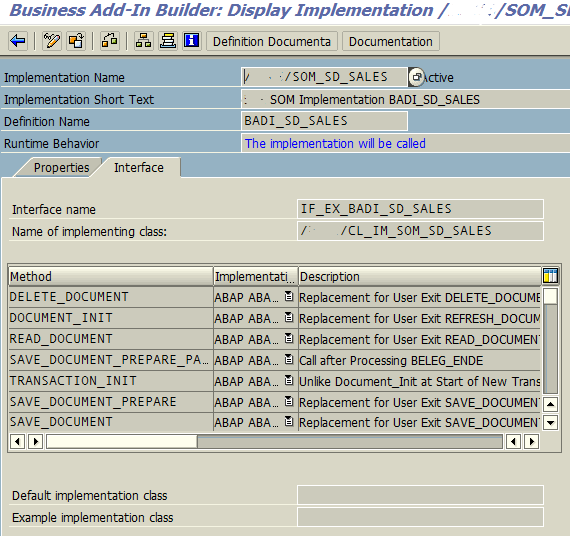 Finally, using SE18 ABAP BAdI Builder tool, programmers can display ABAP codes for class methods of the BAdI implementation. Using SE37 tcode, launch Function Builder editor and display SXV_GET_CLIF_BY_NAME function module. Put a break point at CALL FUNCTION 'SXV_ADD_PREFIX' code line. Then launch target SAP transaction code or ABAP program. In my example, the ABAP function module is hit 5 times with following values in ABAP debugger tool. Select the related implementation and double-click on it to display implementation details. When the implementation details screen is displayed, switch to Interface tab. 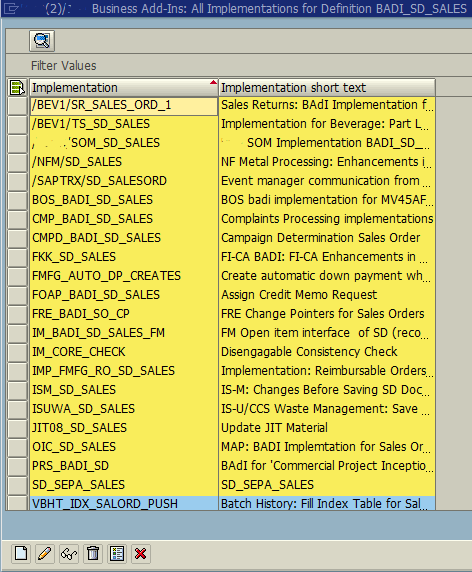 The list of ABAP class methods for the interface will be shown on a table view. 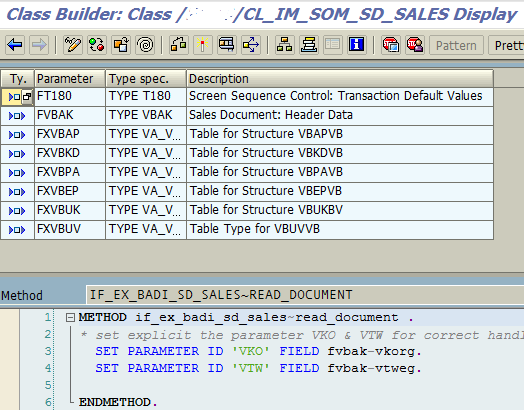 Double click on the method name to see ABAP codes running behind the class method.